Custom 4×7 magnets are extremely stylish promotional option for marketers who wish to stand above competition without minimal efforts, investment and zero brain taxing! 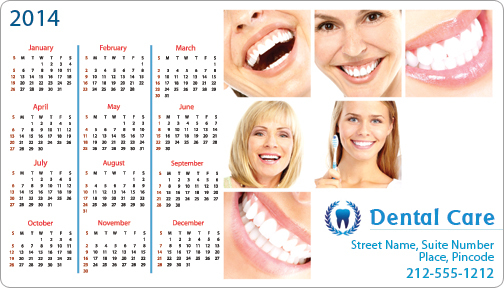 Generally 4×7 custom magnets are employed as calendar magnets because they offer large imprint area and packs high punch, which keeps things going for a year or more. People would be happier to relate with this kind of magnet because it not only keeps them informed about your event calendar, dates or other important events, but also beautifies their dull surfaces or brings smiles over their faces or offers them some relaxing moments from their hectic schedule. Healthcare services such as doctors, dentists, hospitals, clinics and many others have hard time for managing their customers. Customizable 4×7 magnets offer them enough large space to show their extra sensitiveness through slogans, graphics or anything else. They can add their contact details and brand information to make it look generous and genuine. This type of event management magnets aid customers to strike long term relationships with you. If you are the one living for the game and wish to promote your collegiate or professional athletic team, then magnetic calendars are the best choice. You can kick start the new season with these magnetic calendars. You can choose to hand them out during the first match of the season or try to distribute it through collegiate sports club or distribute it in collaboration with sports supplies store in the area. The magnetic sports calendars 4×7 make an impressive choice for your fans- who can reschedule their time according to matches or get on their own to cheer the team, when the game is in progress. A promotional 4×7 magnet may not be largest in the collection, but definitely, it is a one to look out for. This magnet offers you ease to stand out with your efforts and it is offered in cost effective prices. If you wish to spread awareness about some cause, then seeking 4×7 magnets is perhaps the right thing. It offers you large space for positioning your social message and attracts the right kind of contributors at the right time. If you decide to buy customized 4×7 magnets from any reputed store, then along with easy acceptance, you can expect benefits in the form of free art setup, free in-house design, free shipping and attractive price savings on bulk orders.